Try Virtual Reality headsets in the Media Lab and at special events! Explore places around the world, travel to distant planets, visit fictional worlds, and learn about outer space, oceans, the human body, and more in astonishing new ways. 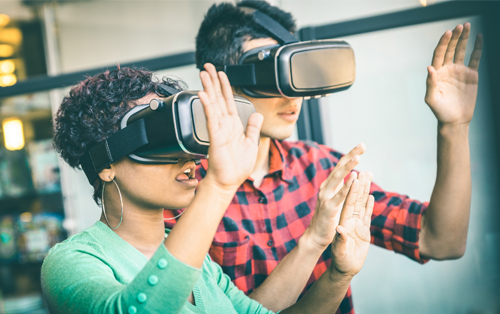 The Library offers a variety of workshops and events featuring virtual reality, game design, and coding. To stay updated, sign up for the Library newsletter or follow us on Facebook or Twitter. Check our online calendar for details of what is currently scheduled.